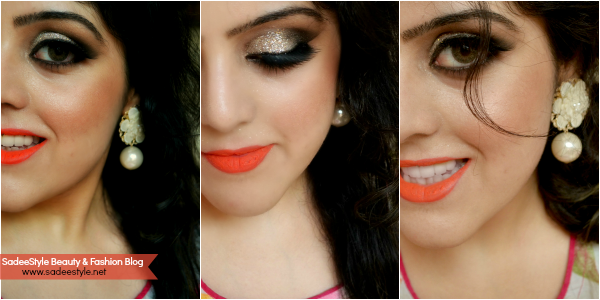 Be it the bold coral lips with lovely gold glitters on eyes, Here is a classic and timeless makeup look I worn last night. I aways prefer light eyes, dark eyeliner with bold and sharp lips. What you think about this look? G&G Gothic 3 Tone Hazel Lenses by Pinkyparadise. Excuse for my messed eyebrows because salon lady plucked them so thin so I'm growing them back. Wonderful combination.. :) looking lovely.